Always include written qualifications in your proposals and do not assume the work you are offering to perform in your bid is obvious. You should also specify the working conditions and hours during which you are willing to work. Good electrical estimating software will provide you with examples of the qualifications to include. Make it clear what work is specifically included in your price - Qualifications are used to explain your bid. * All work is to be done during normal working hours 8 AM to 5 PM week days only. * Electrical contractor is not responsible for lost data due to shutting down power. One of my personal favorites -- contractor is not responsible for any breaker not resetting after it has been turned off. Have you ever done a project when the main breaker would not reset after you did a power outage? It is very difficult to convince your customer that you did not do something to their main breaker if you were the one who shut it off! Make sure you qualify everything - To do so, consider the following questions. • What are your terms of payment for the job? • Is the job progress billed? • Is payment due in Net 30 days? • How long is your price good for? 15 days? 30 days? 45 days? • Is a power outage required in order to perform work? • Who is responsible if the job is delayed due to environmental issues like the weather? • Do existing power panels have space and hardware for adding additional circuit breakers? (1) Conduit to be EMT unless specified otherwise. (2) All fixture deliveries are subject to manufacturers lead times and submittal approval. (3) All work to be performed during normal working hours. (4) All work to be performed AFTER normal working hours. (5) All work per industry standard and code. (6) Customer is responsible for backing up of all data storage systems, we are not liable for data loss. (7) This pricing effort is based on all the above scope of work as listed only. (8) Required electrical permit, plan check, and all fees supplied by customer. (9) This pricing is valid for 30 working days from Proposal date. (10) Cutting, patching and painting of existing surfaces by others. (11) The owner is responsible for replacing existing main and load breakers that fail to reset (turn on). (12) This pricing based on existing power panels having space and hardware for added circuit breakers. (13) Wiring is to be as per NEC requirements. (14) Customer is to provide access to work area with no obstructions. 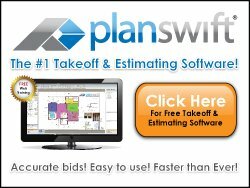 (15) Electrical engineering, permits, and plan check fees by others. (16) Temporary generator supplied and installed by others. (17) Temporary power and lighting supplied by others. (18) All switchgear deliveries are subject to manufacturers lead times and submittal approval. (19) Power outage will be required for installation of circuit breaker and hardware. (20) Utility company fees to be paid by customer. Use Qualifications to make it clear to your customer what is included in your price.